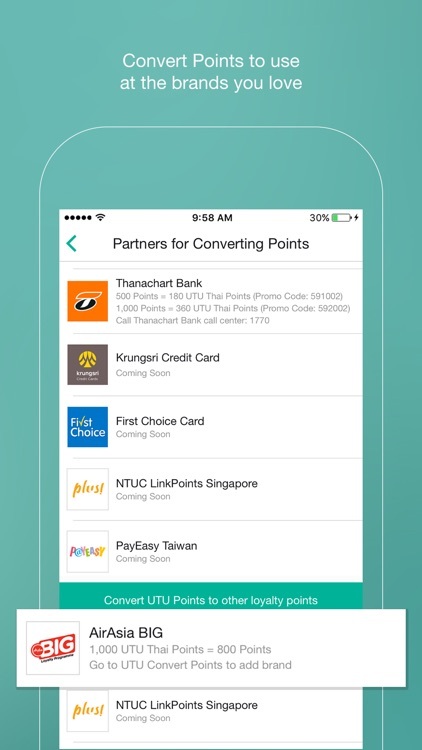 UTU seamlessly brings global rewards to your fingertips, with over 8,000 outlets in Thailand and with several countries to come on board in 2017! 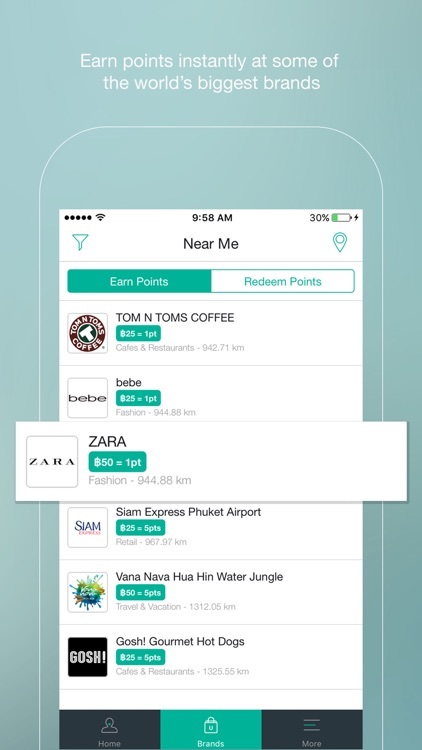 Earn points at Zara and redeem them at Starbucks, convert UTU Points into AirAsia BIG Points or be a friend and give the gift of points instantly. Accumulated lots of points? 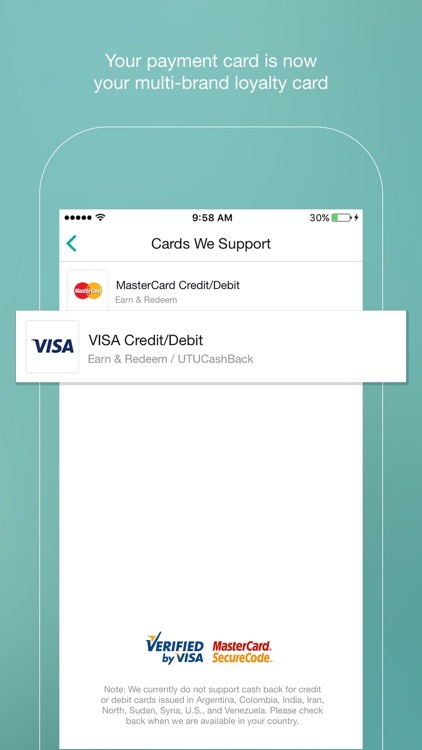 Why don’t you redeem them for a cashback? The choice is yours. No more having to remember those pesky loyalty cards, simply link your payment card. Your data is securely encrypted using bank level encryption. 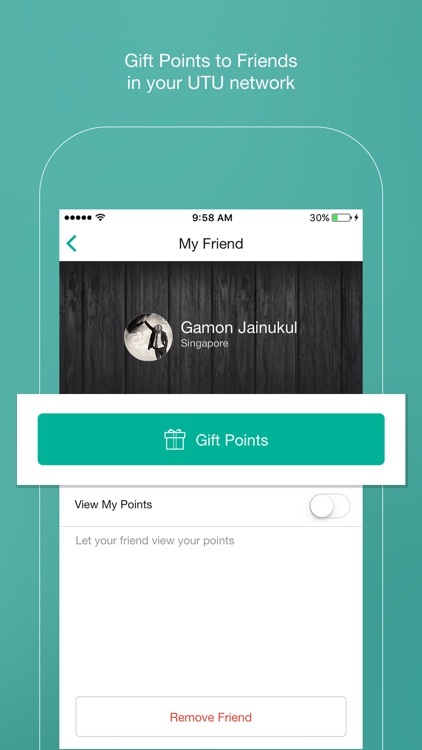 Earn and Redeem Points Anytime, Anywhere. 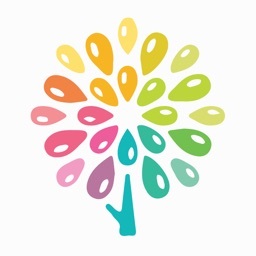 - Choose from hundreds of fashion brands, restaurants, bars, airlines and gas stations. 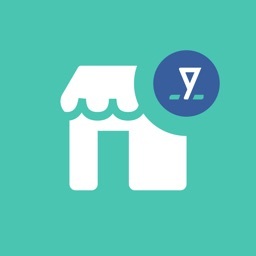 Never be restricted by your loyalty program ever again. 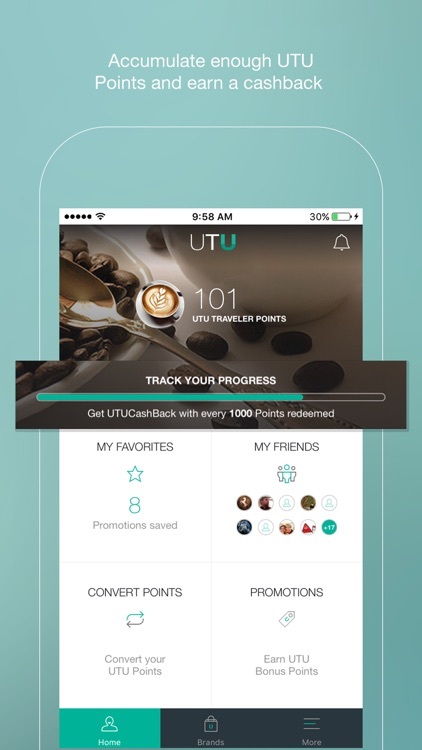 - Accumulate enough UTU Points and be rewarded with a cashback! It’s a great way to save for your next purchase. Unused or Expiring Points? Convert them! 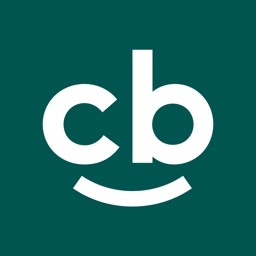 - If you’ve accumulated points through other programs that you are unlikely to use, convert your points to treat yourself to a special purchase that you’ll actually enjoy. 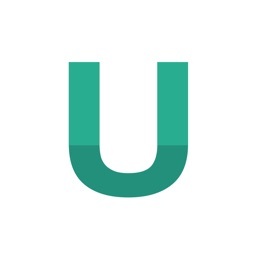 - Know someone who wants to take advantage of a hot promotion on UTU? 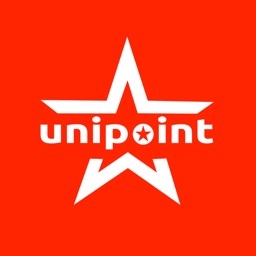 Send them points instantly through UTU.